Food cravings can make it difficult to meet your weight-loss goals, so it is important to keep them under control. Fortunately, there are things you can do to reduce cravings and keep your calorie intake in check. Here, learn about five strategies that can help you to eliminate cravings for good. If you have been eating the same few foods every day, switching things up could reduce your cravings. In particular, participants craved foods that were different from the liquid diet. 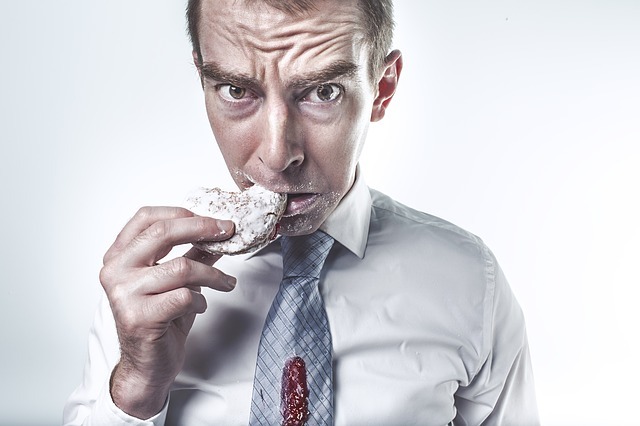 Feeling bored with your diet could, therefore, lead you to give in to cravings. Add more variety to your meals to keep yourself satisfied. Adding exercise to your routine could reduce the temptation for sweet snacks. Afterward, they completed a stressful psychological test and were required to handle sugary snacks. Study results showed that walking reduced the participants’ cravings for the snacks. While cravings did increase after touching the snacks and being exposed to the stressful testing, exercise weakened this effect. So, if you find yourself craving ice cream after dinner, head outside for a walk around the block instead of giving in to your desire for a sugary treat. Skimping on sleep can make you more susceptible to cravings. During the period of sleep deprivation, study participants took in significantly more calories and fat, and they increased their consumption of condiments, sweets, and salty snacks. Be sure to get an adequate amount of sleep every night, so you are not tempted to overeat. Adding some protein to your diet could help you to manage food cravings. Include more high-protein foods, such as nuts, chicken, and eggs, in your diet to leave yourself feeling more satiated; you might find that you aren’t even hungry enough to give in to junk food cravings. Once a craving hits, distracting your brain can help you to forget about it. One group of participants served as a control, and another group was distracted from their cravings by a game of Tetris. Study results indicated that the distraction successfully reduced food cravings among participants who were especially sensitive to them. If a craving for an unhealthy, high-calorie snack strikes, grab a crossword puzzle or a book to take your mind off of it. Distracting yourself can stop a food craving in its tracks and prevent you from indulging in high-calorie treats. You can use the other strategies discussed here, such as mixing up your diet and getting more sleep, to make it even easier to resist temptations. If you incorporate these tricks into your daily routine, you might discover that weight loss isn’t such a challenge after all. Not Brushing Could Cause More Than Bad Breath!